Modular home builders help people develop and own their dream homes without breaking the bank. Prefabricated homes are increasingly becoming more popular amongst homeowners. Modular homes are built off your future home site. They are built in a factory setting within a few months. Wheelhaus offers luxurious homes in eight different customized models at a starting price of $82,000. Each of the models is made using state-of-art-the-machinery, rendering them of high quality and durable. One of the sources of artistry is the old school log cabins. After wheelhaus parts are delivered, it takes approximately 2 to 3 days only to assemble them to utilities. Method Homes has eight designs to choose from, with a starting price of $95,000.The designs are available from cottage style to ultra-modern designs, depending on your preferences and decorating style. The modular home builder works with you together with a team of architects to assemble your new home at your preferred site. The builder has a tiny home pick to enable you setup your modular home on a tiny piece of land. It offers attractive models with up to four designs to choose from. The builder offers something you would pay more for if you opted for a built on-site method. Choose from guest houses, office and holiday bungalows models, among others. Blu Homes has beautiful designs in seven different models. Its best design is the breezehouse with up to five bedrooms and five bathrooms. It also offers traditional home additions such as self-contained pods for clients in need of extra space. With a starting price of $6,000, the series is meant to bridge nature and indoors. The homes are best placed in an area with great view despite their sizes. They are made with entire walls of floor to ceiling windows for a better view. Depending on your budget and the site the modular is to be assembled, WeeHouse has series of fabricated blocks that can be arranged to create between 300 and 2400 square feet of living space. The Alchemy architectural firm is the brains behind the WeeHouse. Ma Modular is based in Austin. It delivers six different modern floors ranging from 525 to 1669 sq ft. It takes less than 189 days to deliver a finished modular home at your site. House Port constructs single-storey spreads using one to three pane-walled cubes to come up with layouts of living rooms, kitchens and other utility spaces. The whole structure is then covered with a flat and spreading galvanized metal. LivingHomes is eco-friendly with its modular homes starting at a price of $139,000. Its designs are the works of three different architects with LEED Silver certifications. They offer single and multi-family modular homes. Whether you’re looking for a residential or commercial modular home, and despite its size, there’s something out there for everyone. Assess your needs and budget first to ensure you get a home suitable for you and your family. 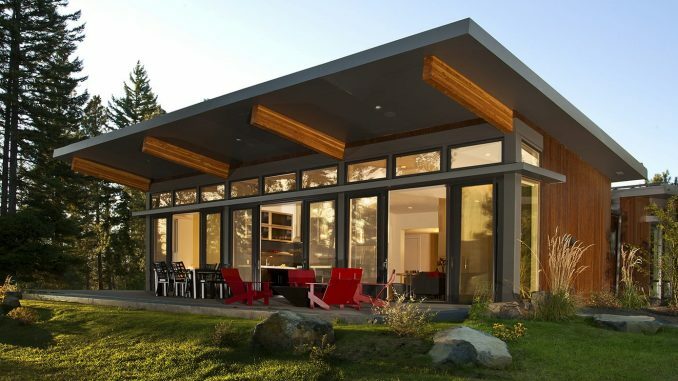 Contact home builders north vancouver to help you choose a suitable modular home for you.